On February 26, 1936, a group of young Imperial Japan Army officers led a violent coup against the Japanese government in an attempt to restore absolute power for the monarchy. From a Western point of view, the coup appeared to be an effort to install military rule over civil authority. That was, indeed, one of the goals of the coup leaders and supporters, but they also intended to murder or remove senior army officers from rival military factions. The reality was quite different. The actual “Peace Faction” in Japan was quite small and lacked significant power. The actual “War Faction,” the real power in Japan, was a variety of military factions and supporting wealthy industrialists. 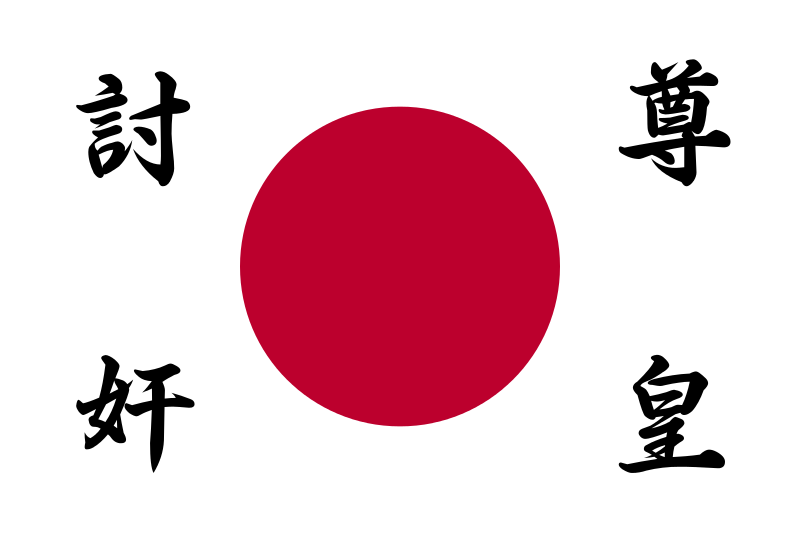 The principal military faction consisted of senior military officers that were aligned with Japan’s growing industrial giants. They wanted to pursue a thorough physical modernization of the Japanese Army and Navy prior to conducting any wars against Western nations. At the time, they were concerned with building an Army to defeat the Soviet Union and conquer vast areas of eastern USSR and eastern China, and their basic intent was to defeat communism before communism could destroy Japan. This principal military faction, as well as other factions, believed that sufficient oil, iron, and coal for Japan’s industry and war machine could be obtained from the conquered areas of China, Korea, and the USSR. However, while large quantities of steel were produced in the Japanese-occupied areas of China, Japan failed to locate and develop any significant new oil fields from their territories on the Asian mainland. Oil, then as now, remained a critical factor in political decisions. The coup leaders believed the Japanese military did not need more modernization, and they didn’t like the influence the wealthy industrialists held over the Emperor. They viewed Emperor Hirohito as the victim of these industrialists, and they naively believed they needed to rescue him from them, as well as from the corrupt politicians and military officers. By February 22, the eight principle coup leaders had managed to recruit eighteen more young officers. They began to finalize their plans. The coup leaders dubbed themselves “The Righteous Army.” They mobilized over 1,400 soldiers under their command. Most of the soldiers were ignorant of any conspiracy and were told simply that they had been called out to defend the Emperor from unspecified conspirators. In the early morning hours of February 26, the coup leaders divided their 1,400 troops into six groups. At 5:00 a.m., they conducted simultaneous attacks on the Prime Minister’s residence, the Tokyo police headquarters, the War Ministry, and the homes of three prominent politicians. The attack on the Prime Minister’s Palace succeeded in capturing the palace. The attackers murdered the Prime Minister’s brother-in-law, mistakenly identifying him as the Prime Minister, which left them unaware that the Prime Minister escaped. The attack on the Police headquarters succeeded, as well, but due to lack of proper preparations, the other four attacks on political targets failed. The entire conspiracy was based on the notion that the conspirators would rescue the Emperor from the corrupt industrialists and their military lackeys. Unfortunately for them, the conspirators failed to understand that Emperor Hirohito felt no need to be rescued by the Righteous Army or any other faction. In spite of popular perceptions, the Emperor agreed with the aims of the industrialists and the military modernists. He was also being well compensated financially by the new industries being built in Japanese-occupied Manchuria and Korea. The conspirators gained entrance to the Royal Palace grounds by posing as a relief force. Once the subterfuge of the young officers leading the “relief troops” was discovered, they were expelled. The Emperor subsequently instructed his staff to issue a proclamation denouncing the coup. The Emperor’s staff wisely made that proclamation vague, and the conspiracy leaders mistook it as a declaration that they had been victorious. It took an additional three days to convince them to stand down and return to their barracks. When they finally abandoned the captured grounds of the Police headquarters and the Prime Minister’s Palace, the officers and over a hundred co-conspirators were arrested. Nineteen of the officers were executed, and three others committed suicide. The coup itself was dramatic enough, but the aftereffects were even more dramatic. The military underwent a reorganization that left the modernist “pro-war” faction in control of the Army and Navy. The civil government ended up under tighter military control. Anyone in the government or military that even vaguely resembled anything like a peace supporter was assassinated or marginalized. Japan was already at war with China, and the path toward expanding and escalating that war now shone more brightly than ever. The civilian influence over government policy dwindled after the coup attempt, while the most aggressive military expansionists used the reorganization to consolidate their power and further their agendas, shaking out anything like a peace faction. 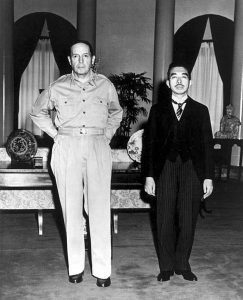 The only question that remained was whether Japan should secure oil by capturing the Western USSR or by striking south and capturing Borneo and Sumatra. In May of 1939, a force of 35,000 Japanese attempted to capture part of eastern Mongolia. The Japanese underestimated the Soviet commitment to defending their Mongolian allies. By September, 65,000 Mongolian and Soviet troops had expelled the Japanese. In the aftermath, the Japanese commanders in Tokyo decided that it would be best to capture and secure oil, tin, and rubber sources in the southwest Pacific region before building up forces in northwest Manchuria for a major assault against the USSR. Planning for a surprise attack on US Naval forces in Pearl Harbor, the conquest of the Philippines, and the conquests of Borneo and Sumatra now began in earnest. In the summer of 1941, when the German Army invaded the USSR, its early successes confirmed for the Japanese the wisdom of first striking southward. They were certain that the Germans would prevent the USSR from causing any trouble in Japan while Japan swept up the valuable resource areas of the Southwest Pacific. The Japanese were right about the USSR being busy with the German invasion, but they grossly underestimated the determination and ability of the US to mobilize vast military forces to defeat them in the Pacific. That miscalculation was not fully understood until August of 1945, when Tokyo lay in ruins, and nuclear weapons had been dropped on Nagasaki and Hiroshima. 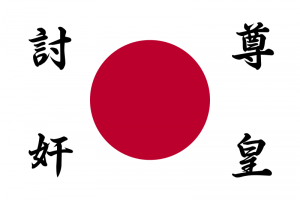 On May 3, 1947, Japan adopted a modern democratic constitution, formally ending its era of military dominance over its government. In the final chapter of the struggle for control over modern Japan, the “war factions” were brought to their knees, and the small and previously powerless “peace faction” had the last word. Great post! The militarisation of Japan’s government certainly worried successive New Zealand governments during the 1930s: at the time, there were concerns about British ability to defend its Pacific territories. There was talk later that the scrap metal we (and others) were selling to Japan was turned into munitions and fired back at us, just a few years later. It’s always intrigued me that even as the instruments of surrender were being prepared for signature in Tokyo bay in August 1945, elements of the Japanese military were plotting to continue the war. And a kamikaze attack was actually launched at the last moment against a British force that included the New Zealand cruiser HMNZS Gambia – the attacker plunged into the sea between Gambia and a British carrier some 15 minutes AFTER the cease-fire was meant to come into effect. My brother-in-law, the RNZN’s official artist, commemorated the near-miss in a painting. As you say, it was some time before the pro-military factions were finally wrapped up.